Thanks to our love for details, we give every conventional bouquet a modern and at the same time timeless design.Triple K offers beautiful bouquets made of so-called Infinity Flowers so that you can surround yourself permanently with the positive feeling that flowers provide. 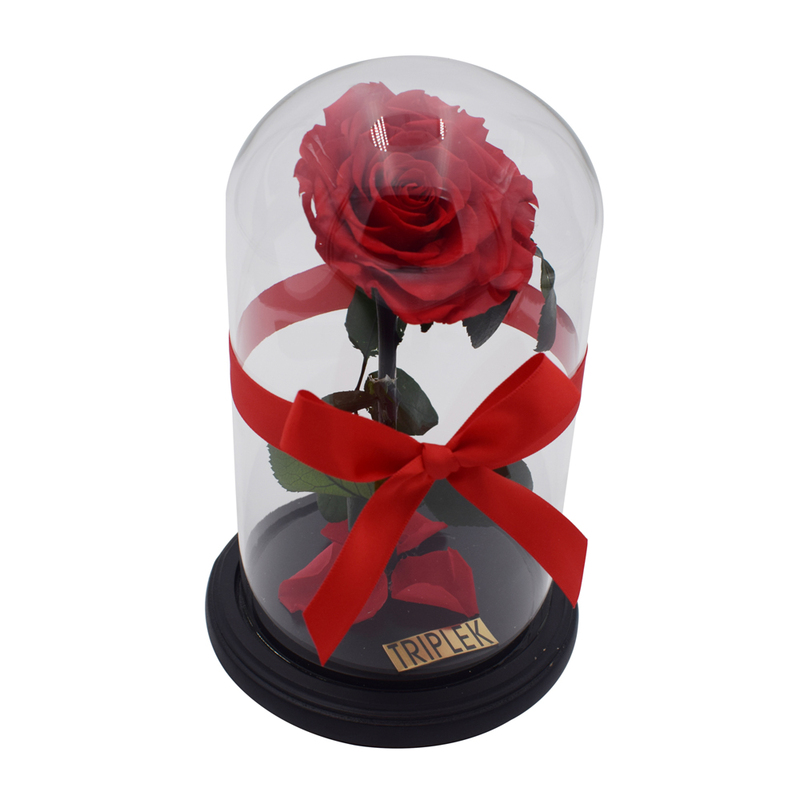 These are roses that have been developed thanks to innovative processes and last for several years. They are conserved at the time of their most beautiful bloom in a special and gentle process. This will maintain their full naturalness and help them remain beautiful for several years just like on the first day. Simple yet luxurious, our rose compositions become an eye-catcher in any environment.We are pleased to be able to inspire you with one of our rose box! Our high-quality boxes are made by hand and convince due their their noble appearance. Our bouquets are perfect for any occasion - whether as a decorative accessory or as an unforgettable and romantic gift with a personally written note on a handwritten greeting card. From small to large, from plain to rainbow colors, everyone will find the perfect bouquet for their individual taste at Triple K.
Enjoy a prompt and free delivery within Germany. In addition, we do deliver throughout Europe. Let us put together an individual bouquet according to your wishes. We don't just deliver your order fast, but also when it suits you best. 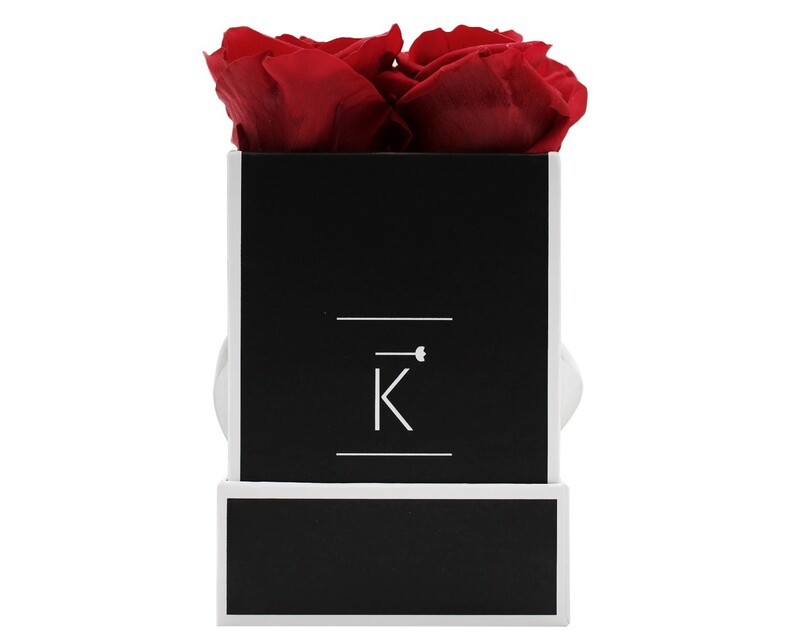 Only with us: We add to each order of a Triple K rose box, a room scent that smells seductive and feminine just like the roses.All you have to do to receive it is simply order a rose box. 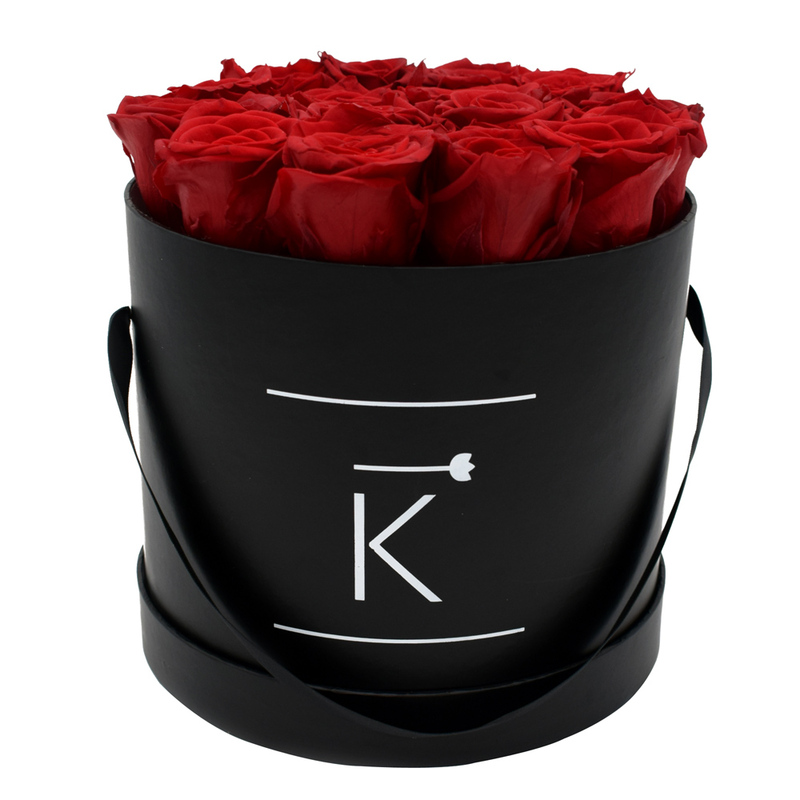 Every Rose box from Triple K will be shipped with a greeting card in a noble envelope. Let us know what you would like as your desired greeting message, so that we can put it on the greeting card with your personalized text. Of course, you can also write on the supplied greeting card yourself.